Ibotta users can collect rebates for buying certain items. The app works by selecting a store nearby, choosing available offers, uploading a receipt, then cashing out on your savings. BALTIMORE — You don't have to be an extreme couponer to save money on groceries. A cash back app is paying you for buying everyday items. According to its site, Ibotta users have earned more than $500 million in cash back rewards. 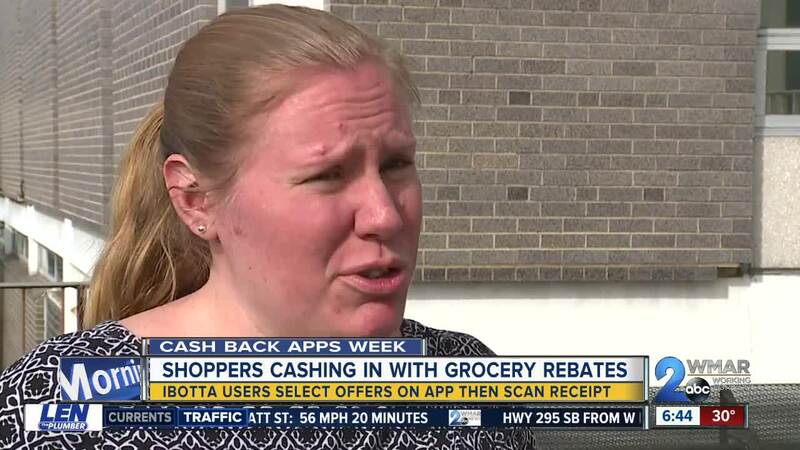 Locally, a woman in Canton reportedly made $900 using the app and loves it. WMAR-2 News producer Siobhan Garrett tried it after hearing great reviews. “When it started, I was getting stuff back for a lot like bread and eggs and milk, and it was just kind of any brand,” said Garrett. She used the app consistently for about three months, but then dropped off when those offers disappeared. “The deals got more random and things I didn't really buy. They had baby food a lot, which was good but it was only $0.20 back, so it wasn't really that much,” Garrett said. She also found the rebates varied by store and she would buy items just for the offers. “I did start buying random things that I didn't need to save money, but I did not keep buying them so I ended up spending more money than I saved,” said Garrett. Still, she earned around $100 on top of any other savings she received in-store. Ibotta also offers cash back for online shopping. The rebates are typically in the single digits, but some stores offer as high as 10 percent cash back on your purchase. WMAR-2 News Mallory Sofastaii spoke with other Ibotta users who recommend taking advantage of the alcohol offers. Currently, users can get $7 back on the sale of two 18-packs of Bud Light. 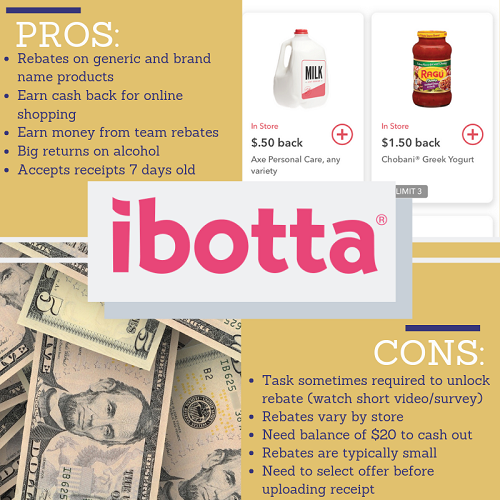 Ibotta also offers more cash back on certain holidays and avid users say they check the offers before making their grocery lists. 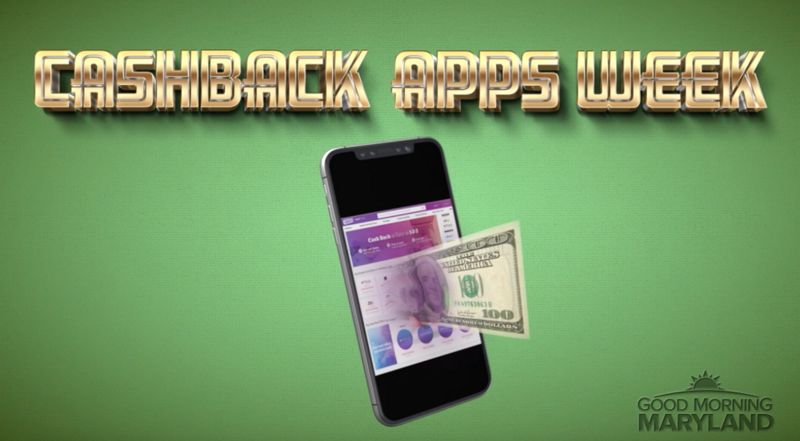 All week on Good Morning Maryland, Mallory has reported on different cash back apps that pay for everyday tasks like pumping gas, shopping online, even walking. To see her stories and hear from local people who have earned anywhere from $500 - $900, click here .